Minibus Transport Solutions is a minibus and taxi hire company based in London. We currently provide cheap but luxurious minibus and Taxi Hire Service. To maintain price we have a proper methodology of fuel price adjustment. In which we fluctuate our prices with respect to fuel prices in the international markets. Moreover, we give you money back guarantee if you can clarify any company having less prices than ours. Therefore, we have a challenge that you make sure by checking other companies pricing plan. We also do not deduct charges if your flight is delay or you want to skip your deal before travel. 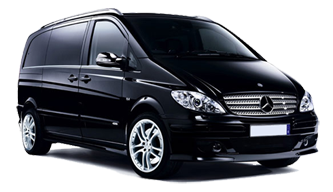 We provide Minibus Hire Epping with Driver is the luxurious service where we have maintained well standard comfort for our valuable customers. For comfort we have 7, 8, 9, 12, 14 16 seated minibuses with driver and a large space for luggage. We provide Airport Transfer service in Epping book taxi from Epping to Heathrow airport, Gatwick airport, Stansted airport, Luton airport, London city airport, Manchester Airport Taxi, Birmingham airport and Glasgow airport with driver services and all those facilities which suit the standard. We will also not deduct charges in case of delayed flights while once you have done booking. Moreover, we also provide service at all sea ports and dry ports including such as Dover, Harwich Port Minibus, Portsmouth and Southampton from where our driver can pick you up. Additionally we have also vehicles for family gatherings especially for marriage, birthdays, and hill station tours and so on. You can find our vehicles throughout the city whenever you want. We have also large number of vehicles to avoid inconvenience for our customers at rush hours and vacations especially at Christmas, winter and summer brakes. Our service is best regarding as if you do not have a concept of travel experience and necessities during your journey, we are again here to solve your problem so make us a call at your ease and get the solution of your problems. You can also register a query at our website which will be replied quickly. So call us whenever you have to travel.